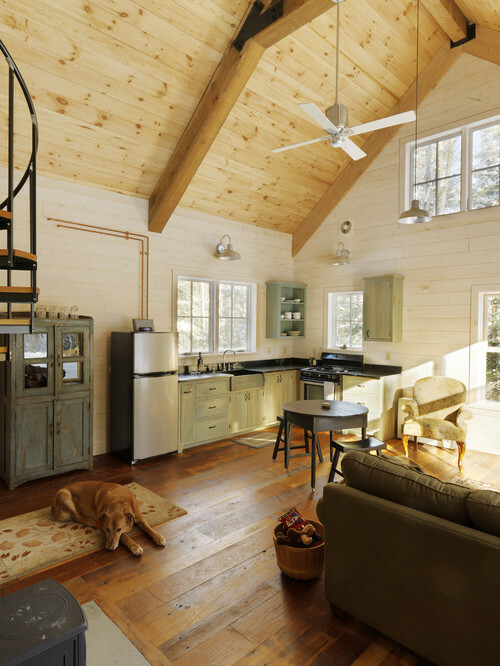 Cabins have that whole “effortlessly cool” thing down pat and no matter what season, they’re always perfectly in style. Steal some decor tips from fall’s most lounge-able homes. 1. Imperfections only add character. 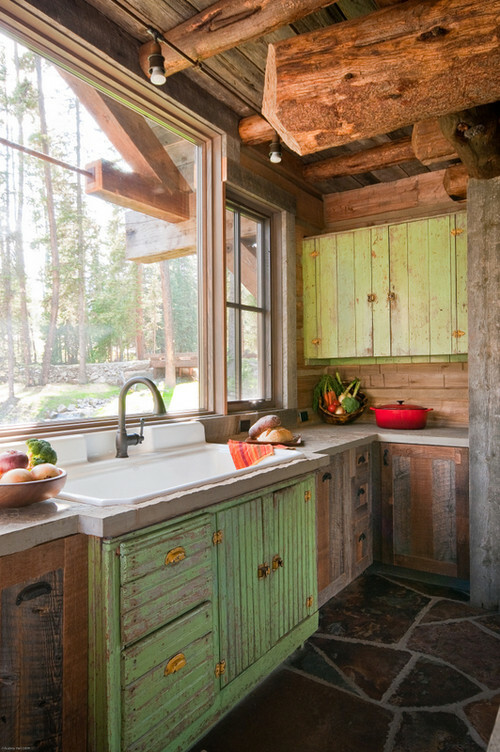 The great thing about cabins is that they’re often surrounded by lots of beautiful nature, meaning one glance out the window and you’ll forget about the shabby cabinet doors in need of a paint job. Even if your cabin is in the middle of the city, having imperfections here and there add character to your space and make it look lived in instead of photoshopped. 2. Mixing is so much better than matching. Shades of green, brown, and earthy tones in between combine to create this stunningly simple cozy kitchen. And despite the fact that no two pieces are the same design, they all go together seamlessly to create an enviable look. 3. Never be afraid to repurpose. 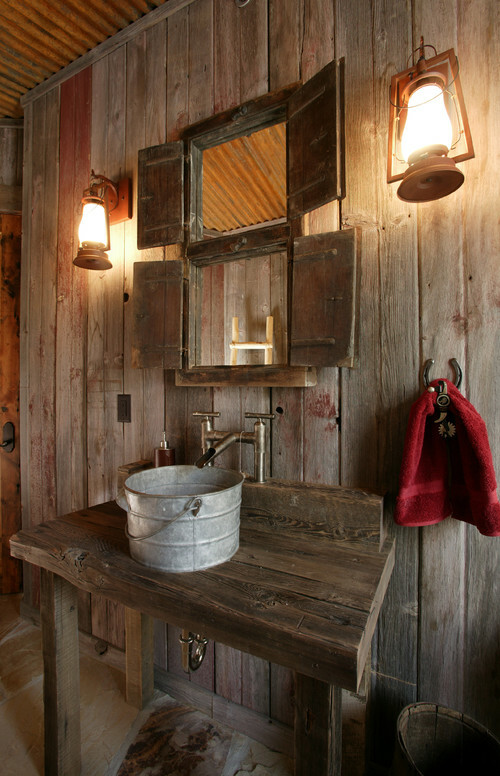 A galvanized tub for a sink and lanterns for sconces give this cabin a rustic look on a minimal budget while reusing common items. 4. Sometimes it’s okay to skip the window treatments. 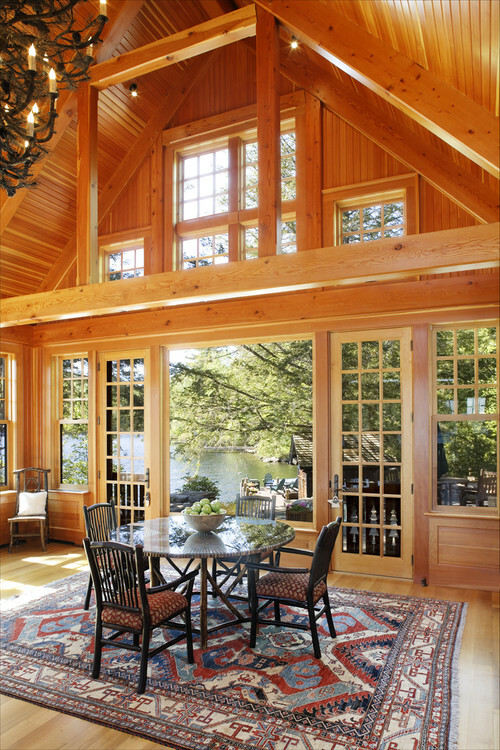 If the view is too good to cover up and privacy isn’t an issue, skip the window treatments and let natural light and beauty of the great outdoors pour in. 5. It doesn’t take a lot to create a homey space. Many of us are prone to think more is more, but sometimes simple can have the biggest effect. 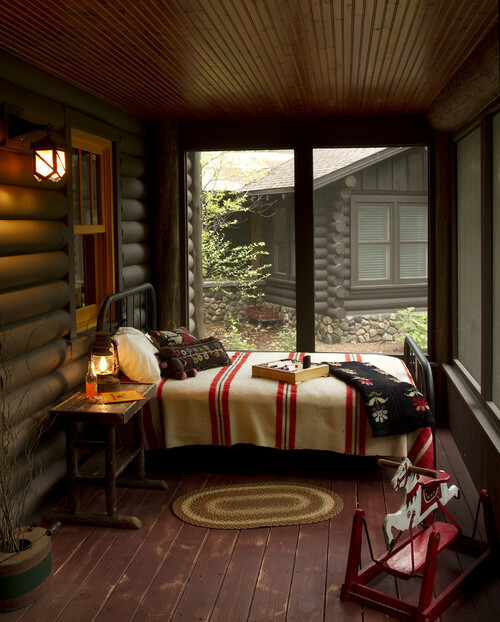 People often visit cabins to get back to nature and relax and a simple decor scheme with just the essentials can help with that, whether you’re in the woods or in your home.